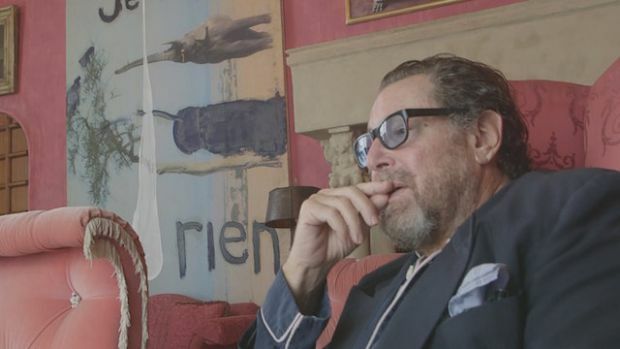 Julian Schnabel A Private Portrait chronicles the personal life and public career of the celebrated artist and filmmaker Julian Schnabel. Written and directed by Italy’s Pappi Corsicato, the film details the Brooklyn-born Schnabel’s formative years in Brownsville, Texas; the beginning of his professional career in New York City in the late Seventies; and his Eighties rise to superstar status in Manhattan’s art scene as well as international acclaim as a leading figure in the Neo-Expressionism movement. 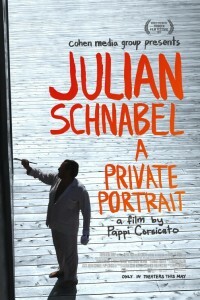 As the film details, Schnabel came to be regularly acknowledged for his extroverted, excessive approach to his work and life (frequently seen in silk pajamas, he lives and works in Montauk, Long Island, and in a 170-foot tall pink Venetian-styled palazzo in Manhattan’s West Village) as he moved into filmmaking with 1995’s Basquiat. He has since directed four other features, including the award-winning Before Night Falls (2000) and The Diving Bell and the Butterfly (2007). 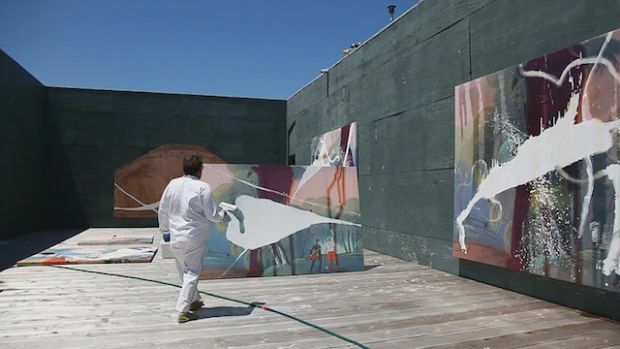 With a kaleidoscopic blend of material from Schnabel’s personal archives, newly shot footage of the artist at work and play, and commentary from friends, family, actors and artists including Al Pacino, Mary Boone, Jeff Koons, Bono and Laurie Anderson—not to mention Schnabel, himself—Corisicato creates a fascinating and revealing portrait of the modern art world’s most boisterous and provocative maverick.